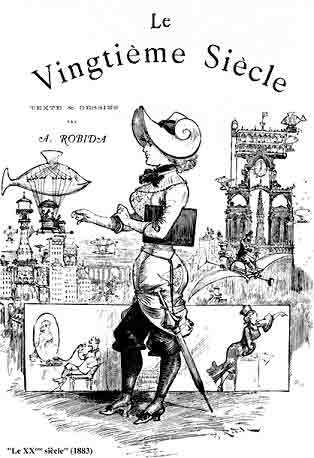 Thus Robida provides us with an "authentic" period pattern for late 19th C. 'active' women sportswear. Some 'mainstream' VSF players, embarrassed by the 'excesses' of steampunk, try sometimes to exclude it from their favorite genre. 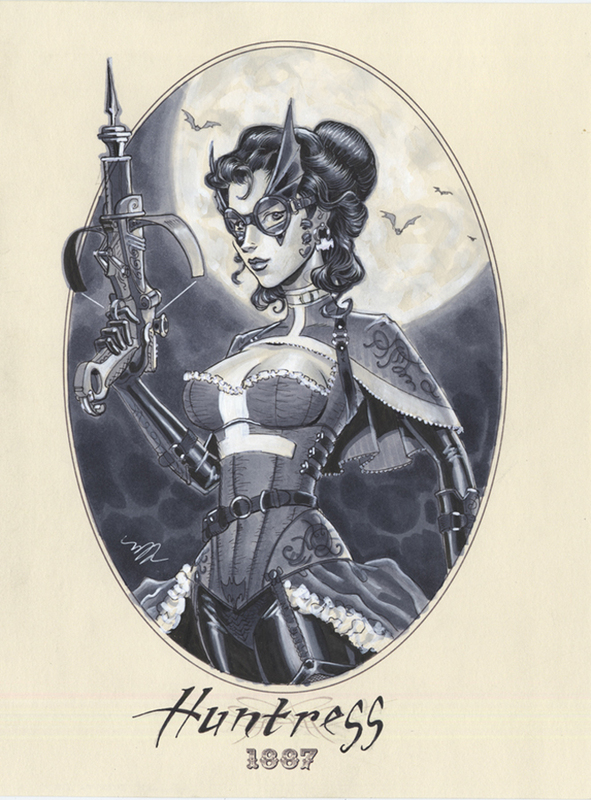 But steampunk, being Science-Fiction set in Victorian times, belongs to VSF. In the same way as 'traditional' SF set in the future encompasses very diverse subgenres from near-future 'hard science' to epic space opera of multi-galactic scope, Victorian SF encompasses various subgenres, steampunk among them. 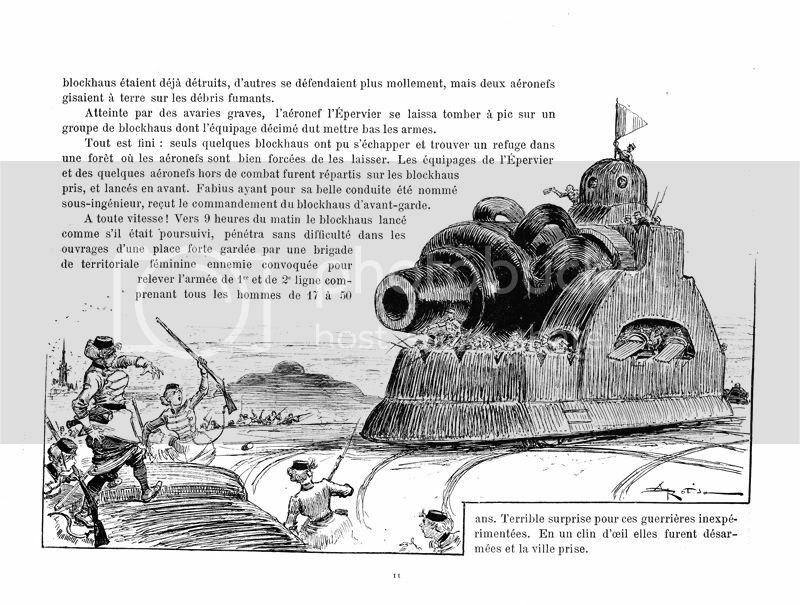 Steampunk merely comes further away from History / departs more from (quasi! )-historical accuracy than mainstream VSF, both by its 'weird' science and by getting rid of Victorian prejudices, chiefly with regard to gender roles and 'proper' behaviors -and thus (female) fashion. The two are logically correlated: 'weirder' contraptions and weapons requires an early divergence of science from our History, leaving more time to new technologies to impact on mentalities and society as a whole. 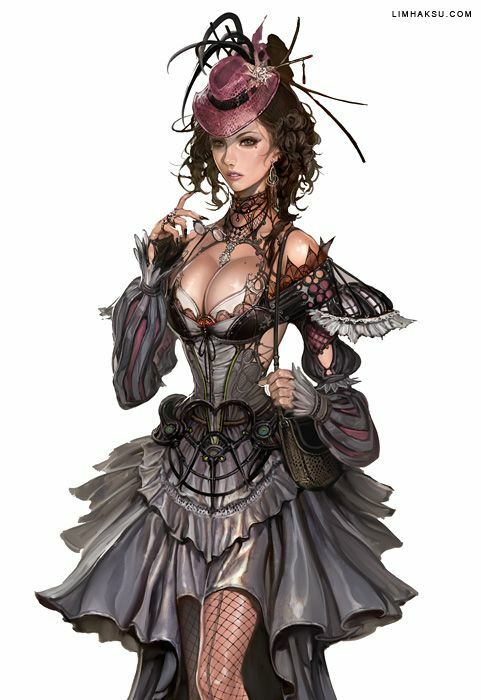 One of the best discriminative is 'Women wear their corset under their dress in VSF, above it in steampunk' http://27.media.tumblr.com/tumblr_liwj0 ... o1_500.jpg. 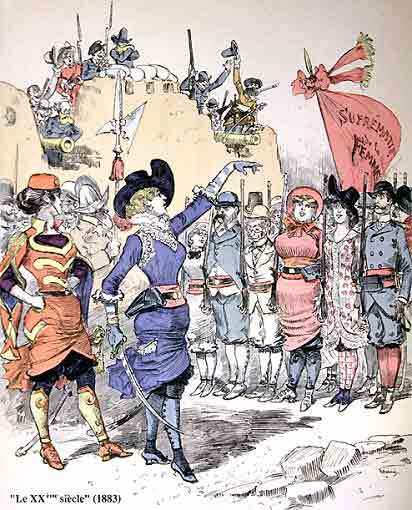 Actually the silhouette of Robida's 'future' women is exactly that of typical steampunk girls http://blog.planete-nextgen.com/wp-cont ... mpunk1.jpg / http://img.uuhy.com/uploads/2010/12/036-steampunk.jpg / http://25.media.tumblr.com/tumblr_m3cb9 ... o1_500.jpg (in more subdued, he was publishing in the 1880). 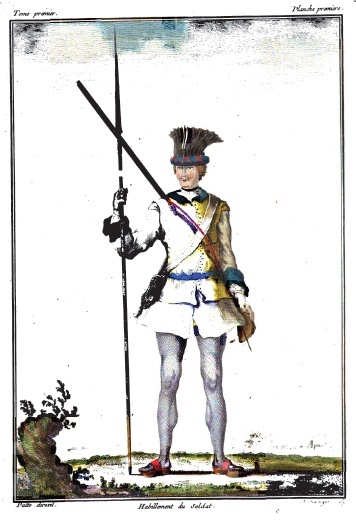 Thus variants of the VSF Robida women with a generous cleavage, a visible corset and stockings or skin-tight breeches http://1.bp.blogspot.com/-9oA9GhsbYhA/T ... oonboy.jpg rather than rather baggy trousers would be 'steampunk' rather than 'mainstream VSF'. Of course they could be granted more 'exotic looking' weapons but for me I'm not a fan of goggles. totally ignored current fashion, discussing and justifying every minute detail with only practicability in mind (with a special concern about the soldier's health, many more soldiers according to his experience being disabled by disease than by the enemy). 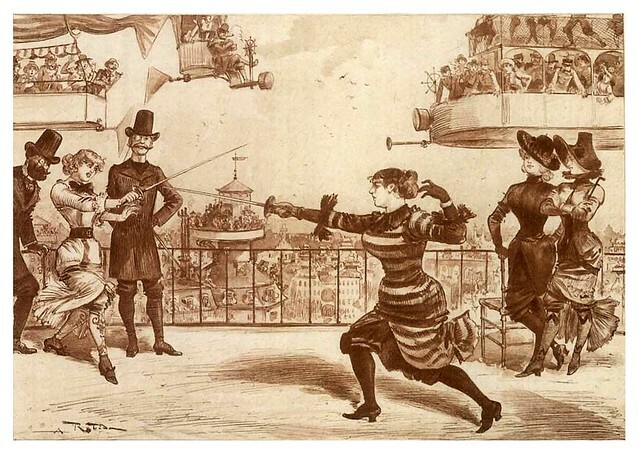 Thus since most 'swashbuckling' 18th C. games are set in an 'alternate' world where some form of paranormal is not unknown, one can accept that here more practical women clothes are accepted. 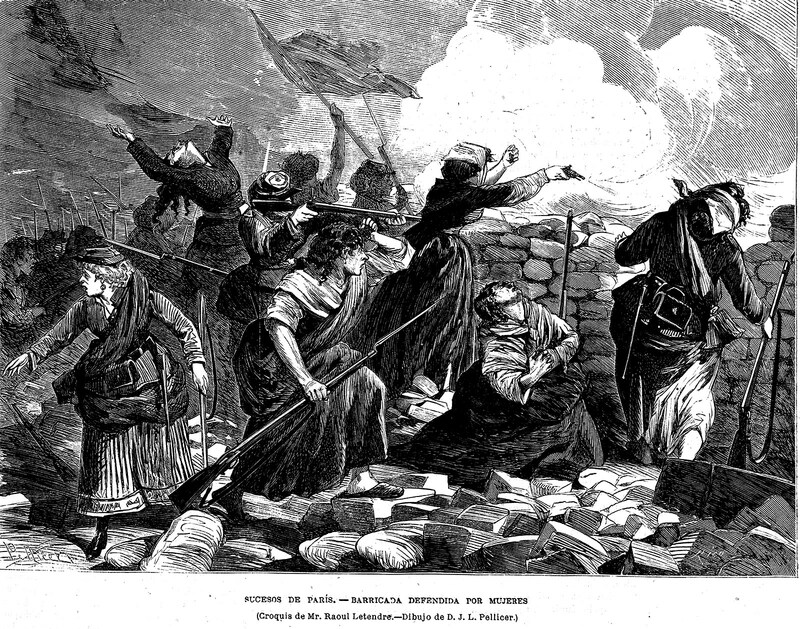 and period weapons, and you get 18th C. female heroes. 18th C. adventures with some 'abnormal' element range from fantasy / gothic horror / lovecraftian / pulp ones with some form of supernatural but little or none 'Sci-Fi': Lacepulp to science-Fiction ones: Lacepunk http://www.theoddfellowslounge.com/foru ... 2-Lacepunk. Echoing the differences between mainstream VSF and steampunk, one can suggest that, while in Lacepulp settings fashion remains more or less as in our history, in a Lacepunk world feminine fashion departed much more from our historical precedent: thus the minis just discussed above would be fitting for Lacepulp female characters. For Lacepunk heroines, fashion would be parallel to steampunk https://s-media-cache-ec0.pinimg.com/73 ... d52b31.jpg: generous cleavage, visible corset http://data1.whicdn.com/images/86404265/large.jpg / http://img.izismile.com/img/img5/201206 ... 640_26.jpg, visible stockings or skin-thight breeches, possibly thigh boots over a pantyhose? Unhistorical as they may be they would look more '18th C.' than those miniature Tomb Raiders with slouch hats and flintlock pistols advertised as 'pirates' http://www.freebooterminiatures.de/site ... h_3058.jpg. Of course they could receive more 'advanced' weapons: period revolvers, Puckle handgun &c... http://www.lead-adventure.de/index.php?topic=62077.0 or even a clockwork-powered repeating crossbow à la Van Helsing. Now, wargaming minis are not intended to be submitted to close scrutiny but to be seen from some distance on the playing table: the most distinguishing features have to be somehow emphasized http://tinminis.com/images/DeliaA.JPG (far better anatomical inaccuracy than the oversized hand and feet of so many Foundry, GW &c... imho).